One of Toronto’s most exclusive west end neighbourhoods, Thorncrest Village offers residents upscale family sized houses on winding tree-lined streets with cast iron street lamps. 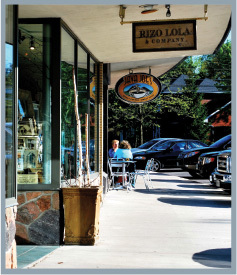 This neighbourhood is home to just over two hundred residents which adds to the area’s small town or country charm. Original houses in this neighbourhood include ranch-style bungalows and century modern homes built in the late 1940s to 1950s. Newly built houses in the area tend to be large brick and stone multi-storey mansions. 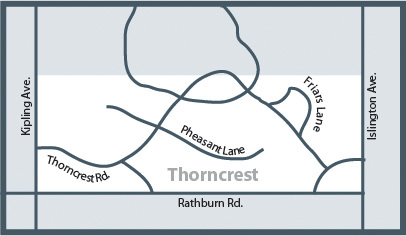 Residents of Thorncrest Village have convenient access to the Thorncrest Plaza at the corner of Islington and Rathburn Rd. and a short drive to the Humbertown Shopping Centre located on the Kingsway.